Recipes for flu bombs are circulating through online parenting groups as a more natural alternative to the flu shot. But ingesting essential oils is not only ineffective; it can be dangerous. And a homemade concoction of essential oils is not a substitute for the science-backed vaccine. No matter how “natural” it sounds. Because do you know what else is natural? Dying of influenza. In a screenshot and link being shared on social media, aromatherapy group Aroma Life advises putting doTerra-brand oregano, On Guard, melaleuca and lemon essential oils into an empty gel capsule and taking it internally. A second recipe includes peppermint and frankincense. If you have a cough, they recommend adding two drops of lime to the mixture before bedtime to suppress it. But should people be ingesting essential oils? In 2014, the FDA sent a warning letter to doTerra (and one to Young Living) citing illegal medical claims. 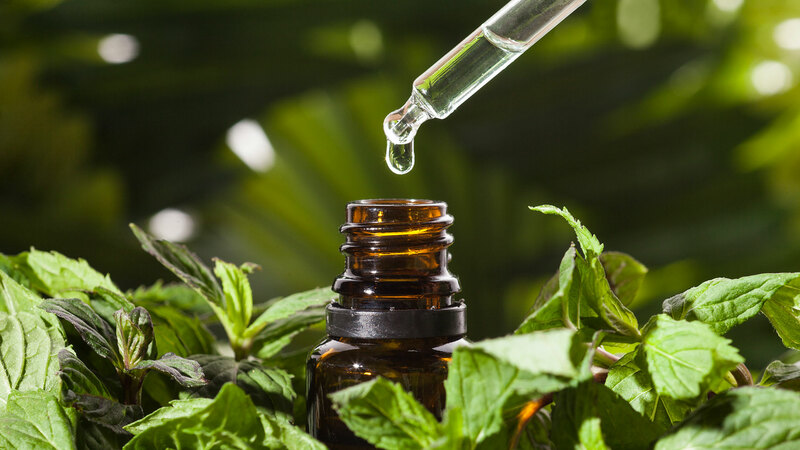 (Essential oils are not regulated or FDA-approved.) Since then, it seems the oil companies have tried to avoid using language claiming medical benefits. And yet, we have the flu bomb spreading like, well, the flu. Los Angeles mom Josie Davis says she learned not to ingest essential oils the hard way. When a doTerra rep paid her a visit to help with her fussy newborn and other postpartum issues, the rep declared the infant gassy. She sold Davis some fennel oil and told her to drink it in her water until the baby felt better. Yikes. “I think essential oils smell great, but I will never ingest them again, and I will absolutely never buy doTerra,” she says. Learn from Davis’ experience. Don’t let an essential oil salesperson diagnose you or “prescribe” anything for medical reasons. Physician assistant Jessica DeLuise, founder of Eat Your Way to Wellness, says that while topical essential oils can be helpful with cold and flu symptom relief such as nasal congestion, “[u]se of essential oils for medicinal purposes should be closely monitored with a trained professional.” Introducing oils, just like foods or products, can potentially cause skin irritation, GI upset or allergic reaction, she notes. When it comes to substituting a flu bomb for a flu shot, Dr. Vincent M. Pedre, author of Happy Gut, wants to clarify some things. The flu bomb has antimicrobial essential oils, he says, but they’re not a substitute for a vaccine. If someone in your household comes down with the flu, Pedre advises that they be quarantined, ideally in a separate room. The flu is spread by droplets in the air, but those droplets cannot travel more than 10 feet, he explains. “Surfaces need to be cleaned, as they also become carriers for the spread of the flu virus.” And of course, make sure to wash your hands often. So, wash those hands and stay well until this horrible flu season finally comes to a close. Head to your doctor’s office for a flu shot, and save those pricey essential oils for aromatherapy.